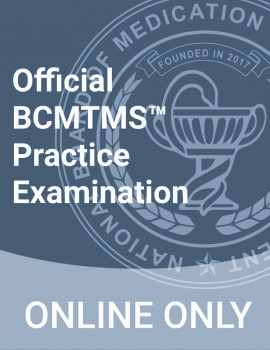 What is the purpose of the BCMTMS™ examination? 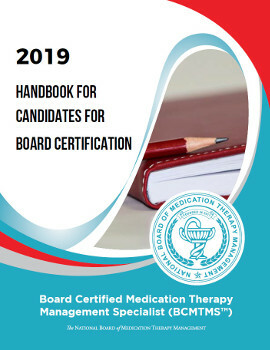 The BCMTMS™ examination is designed to measure the knowledge, skills, and experience requisite to the provision of high-quality patient care for medication therapy management. Like any specialty certification examination, this examination does not presume to test all of your knowledge about the specialty. It samples the knowledge and skills a pharmacist needs to perform the tasks in each major area of responsibility, as defined through a practice analysis study. To receive certification, you must demonstrate mastery of the knowledge and skill areas in this defined scope of specialized practice, no matter what your particular current job responsibilities are. A BCMTMS™ examination is a four-hour, closed-book, proctored exam that offers the candidate 200 multiple choice questions. Following is a listing of the domains and tasks specific to each area of MTM practice, with a notation of the percentage of examination items related to each domain. For further information on the process that was used to determine the content of the examination, visit Exam Development. You can also download the exam content outline here.